Are you thinking of buying your first home in Massachusetts? The state of Massachusetts provides first time home buyer incentives and programs to communities and individuals. In turn, those communities provide assistance directly to individuals and families. We have the contact details lower on this page. It will be well worth your time to educate yourself about the grant programs that are available to Massachusetts residents. The U.S. Department of Housing and Urban Development provides home buyer assistance and grants in every state. There are programs designed specifically for people that meet certain requirements, such as grants for people with disabilities so they can continue to live independently at home. It is worth visiting HUD’s website to see what assistance is currently available. For your convenience, simply go to first time home owner grants in Massachusetts. Neighborhood Housing Services of the South Shore is an approved Housing Counseling Agency. NHS is certified by MassHousing, the Department of Housing and Community Development (DHCD), the Federal Housing Administration (FHA), Housing and Urban Development (HUD), and Citizens for Housing and Planning Association (CHAPA). First-Time Homebuyer Education and Assistance: HAP’s comprehensive homebuyer education course is offered regularly throughout the year; please see HAP’s home page for a current listing. Our FIRST HOME staff can assist you through the process of buying a house, helping you to understand how to choose a house and how to successfully apply for a mortgage that meets your needs. Graduates of the program have access to special mortgage products such as the Massachusetts Housing Partnership’s Soft Second Loan Program and down payment assistance programs such as the new American Dream Downpayment Initiative. The course is taught in Spanish as well as in English. For more information, call 413-233-1610. PRO-HOME, INC, CAN HELP MAKE THIS DREAM COME TRUE FOR YOU! Based on need. Involves no monthly payment; the money is paid back upon resale of the property. If the house is owner occupied for 5 years the money is forgiven (becomes a grant). The City of Quincy provided $9,500 of CDBG funds to Quincy Community Action Plan (QCAP) for a Fair Housing Counseling Program. QCAP assisted and educated 307 Quincy households, of which 250 were low/moderate income, and 210 were low income. Of these households, 101 were female head of household, 35 were Asian, 13 were Hispanic, 3 were American Indian/Alaskan Native, 184 were white, and 40 were black. PCD staff did outreach at eight of QCAP’s First Time Homebuyer seminars. Quincy Community Action Programs, Inc. (QCAP) is the leading private nonprofit organization in the Greater Quincy area dedicated to reducing poverty and helping low-income people achieve self-sufficiency. QCAP was incorporated in 1965 and is one of 24 Community Action Agencies in Massachusetts. QCAP serves 18,000 unduplicated people annually. Our service area includes Quincy, Weymouth, Braintree, Milton, Hull and surrounding Norfolk County and South Shore Communities. Cities and towns and non-profit housing agencies throughout Massachusetts provide down payment and closing costs assistance to first-time homebuyers in their regions. This assistance covers some of the costs that homebuyers must pay at the time they buy their home. Down payment and closing costs assistance is for lower income homebuyers who can afford monthly mortgage payments but cannot save enough to pay the initial home purchase costs. The goal of the program is to increase homeownership among lower income households. For households with modest incomes, the Regional Housing Network makes homeownership possible by running sweat equity programs in rural areas to reduce construction costs and by obtaining low-cost federal mortgages. In addition to providing education and access to financing options and programs, the Regional Housing Network provides buyers with access to properties that are government or bank-owned. After move-in day, we support the homeowners by offering continuing education. Safe and affordable housing is essential to building healthy families and communities. QCAP’s Housing Program plays a leading role in advocating for, developing and managing affordable housing for low and moderate income families and individuals in Quincy and Weymouth. In addition, as the most comprehensive housing program in the greater Quincy area, QCAP Housing offers a variety of assistance for the homebuyers, homeowners, tenants, landlords, homeless and near homeless families to help secure and stabilize housing. These funds can be used by eligible applicants to provide downpayment or closing costs assistance to qualified households. Eligible applicants must ensure that households receiving assistance under HOME ADDI complete a homebuyer education course that includes pre- and post-purchase counseling. First-time homebuyers receiving a HOME ADDI Acquisition Loan may earn no more than 80% of the area median income. Each assisted unit must have a purchase price that does not exceed 95% of the area’s median price, as determined by the Single Family Mortgage Limits under Section 203(b). Any HOME-assisted rental units in multi-family properties must be leased to households earning no more than 60% of area median income. This comprehensive class takes prospective first-time home-buyers through the process educating them on all aspects of purchasing a home and what to expect at each step along the way. May be an individual over 55 years of age, a household with one member over 55, a displaced homemaker or single parent who meets income criteria with assets less than $75,000 who doesn’t presently own a home. Scituate participates in several programs to assist first-time home buyers with downpayments. The Soft Second Program offers downpayment assistance for homes priced up to $250,000. This program is administered through South Shore Housing Development Corporation (781-422-4200.) Follow the attached link for more information on this program Information on Soft Second Downpayment Assistance. Quincy Community Action Program administers the American Dream Downpayment Initiative, which offers up to $10,000 towards the downpayment on homes for Scituate residents who have less than $25,000 in assets. This program is available for homes with an appraised value of up to $362,790. See QCAP Homeowner Assistance for information on the workshop schedule and downpayment assistance or call 617-479-8181 X115. The overview provided at your home buyer education course will give you a sense of how each profession contributes to the process of buying a home. You may also meet a professional that you would like to work with when you are assembling your team of professionals to help you purchase your home. Home buyer education courses are provided at low to no cost. A typical course costs $50 or less per household. Some courses are held over a few week period, others are offered in a one day seminar format. Non-profits involved in Buy Holyoke Now, real estate agents, and lenders can help you find a course.We believe that educated home buyers are more successful homeowners. Part of sustainable homeownership is understanding the benefits and responsibilities of homeownership. Some lenders or loan programs require first time home buyer course completion. Sign up for a course and learn more about homebuying and homeownership! 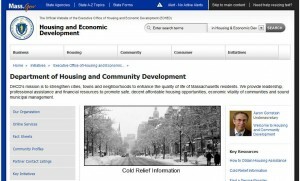 This entry was posted in First Time Home Buyer Info, First Time Home Buyer Programs and tagged closing cost assistance, down payment assistance, HAPHousing, Quincy Community Action Programs. Bookmark the permalink.